Prepare mint past adding 1 tsp water. 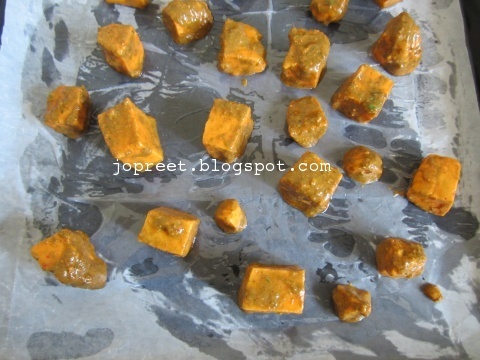 Marinate paneer cubes with mint paste and other ingredients except oil. Refrigerate for 2-3 hrs. Take out the bowl and keep aside for 10 mins. Add oil to it and mix everything well. Preheat oven to 200 degrees C in Broil/Grill Mode for 10 mins. Wrap up the wire grill tray with aluminum foil sheet. 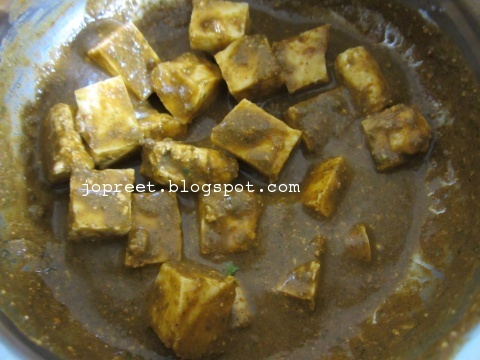 Arrange the marinated paneer leaving a gap. Keep the tray in top rack and grill the tikka for 15-20 mins. Check the tikka for every ten mins and turn over the cubes. 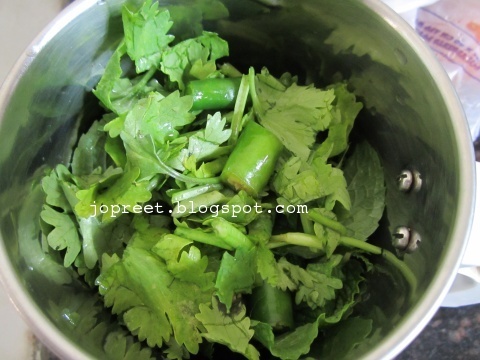 Serve hot with mint chutney. Wow….what a co-incident! You and me both made mint based recipe today…how we are connecting dear. Paneer tikka looks awesome! please pass on to me. Very very yummy snacks Preeti, delightful. tempting…pudina chutney is my favorite.. 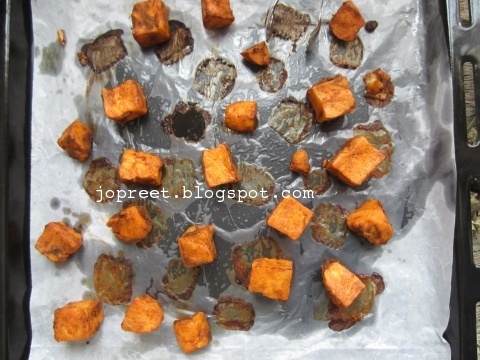 I want those attractive and droolworth paneer cubes,damn attractive. Love the mint flavor,yummy tikka. Pudina paneer tikka looks delicious Preeti. Tikka looks yummy…I can feel the mint flavour..
Love the colour of the tikka!